Who are the 10 best right backs in the world? Have you ever wanted to find out the ten best right backs in the world 2018-19 season? If you have then worry not because PrimeNewsGhana have prepared a list of the Top 10 best right backs in the year under review. There aren’t many tougher positions to play in football at the moment than full back. Players are expected to play a role in attacking areas, and get back and do the job defensively. Apart from goalkeeping being a right back is also one of the most underrated job’s in football, they don’t get the credit they deserve for the work they do. Right backs go forward but also have to keep in mind of their defensive duties, it’s like doing two job’s at the same time imagine doing that kind of job yourself? Let’s countdown to the Top 10 Best right backs in the world of football currently. 10. Ricardo Perreira- Leicester City It was a bit of a surprise when Pereira left Porto to join Leicester City this summer. He had an excellent season in Portugal, as Porto ended a five-year wait for a title, and he could easily have moved to a club who had established themselves in the Champions League. In fact, it was Leicester, who pulled off somewhat a coup in signing a Pereira, very early on in the transfer window. He is one of those players who does a lot of good work going forward and is capable of an excellent delivery from wide areas. He has great pace, and that gives him an advantage when going forward, and when doing his job defensively. He has made an excellent start to his career at the King Power Stadium and is proving a real upgrade on Danny Simpson. At £22 million, he looks like a real bargain for Leicester. 9. Thomas Meunier- Paris Saint Germain They say competition is healthy for players, and this has certainly been the case for Meunier. Despite his undoubted talents, Meunier still isn’t the first choice at PSG and he has had to be content with a squad rotation role alongside Dani Alves. He has appeared just 44 times in Ligue 1 over the past two seasons but is still a much better player than he was when he made the move to Paris from Club Brugge in 2016. Much like Alves, he is much more comfortable in advanced areas, which was shown by how well he played for Belgium at right wing back at the World Cup in Russia this summer. With Alves approaching the final years of his career, Meunier will be given more chances in the PSG side in the near future, and he will only get better with the increased opportunities. He will need to improve defensively as he gets older, because although that side of his game isn’t questioned too much domestically, it will be vital in European competitions, and that is where PSG’s ambitions really lay. 8. Sime Vrsaljko- Inter Milan Vrsaljko is another man who it was a surprise to see move in the summer. The Croat had an excellent World Cup and was one of his side’s top performers in their run to the World Cup Final. You would have thought that he would have been right up Diego Simeone’s street, given his ability to defend, and the calmness and composure he has in possession. This was not to be, however, and he was loaned out to Simeone’s former club, Inter Milan. He wasn’t always a first choice selection at Atletico, competing with Juanfran for his position at right back. However, Juanfran is now 33 and approaching the end of his career, while Vrsaljko looks like he is only getting better at 26. There is a chance that he returns to Atletico at the end of his loan spell, but Inter have an option to buy as part of the loan deal. Expect them to take this, because Vrsaljko is already one of the top full-backs in the world, and he will only get better in the coming years. 7. 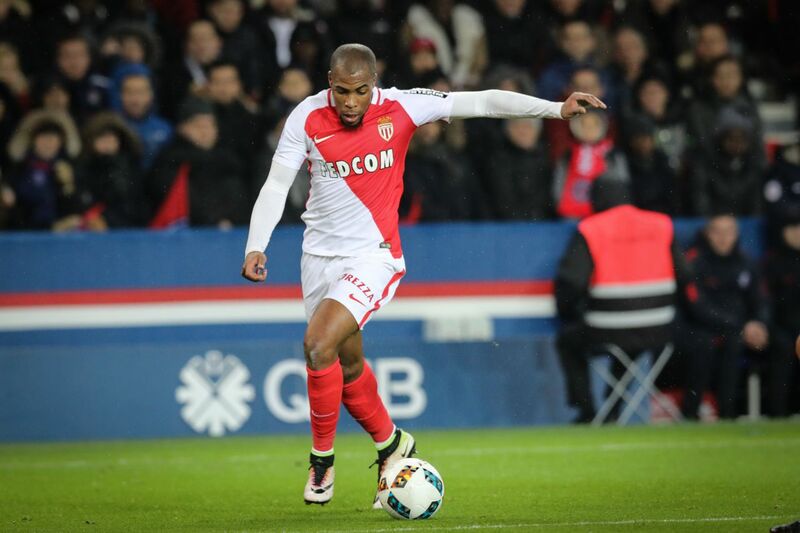 Djibril Sidibe- AS Monaco Sidibe is one of the title winners who remains at the club. That’s not due to a lack of suitors, but more Monaco’s insistence not to sell too many starters in the same window. Sidibe, signed from Lille in July 2016, was a dependable presence on the right flank who provided a modicum of stability that allowed his opposite full-back, Benjamin Mendy, to rampage upfield. 6. 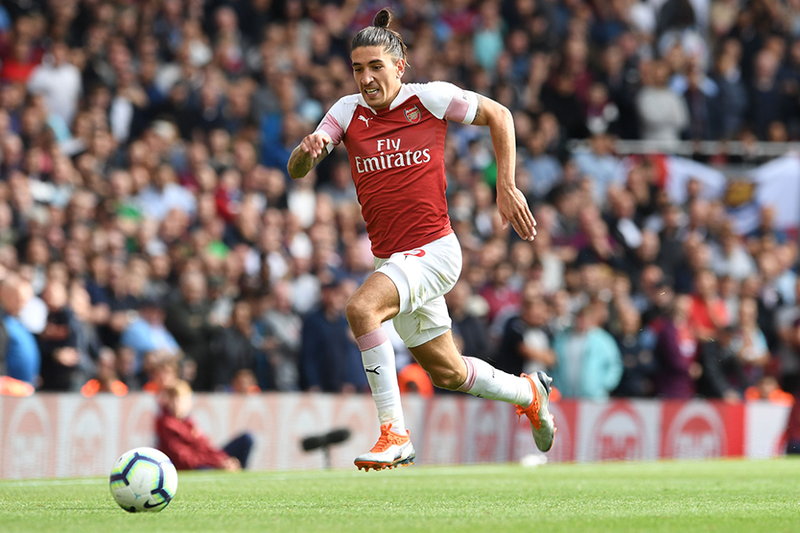 Hector Bellerin- Arsenal The Arsenal man and Spanish international has a number of visible weaknesses in his game which include weak crossing, tackling and aerial duels. He is, however, a good dribbler, pacey and a good passer of the ball. At 23, Bellerin has a long time to work on his game and certainly has the potential to become one of the best in the world. 5. Kyle Walker- Manchester City There was plenty of discussions last summer about the world’s most expensive right-back. But Pep Guardiola knew he had to improve his side in the position, and there was no better option than Walker. Having impressed at Tottenham as a wing-back the previous season, the Sheffield native has slotted perfectly into City’s squad. As part of arguably the best side on the continent, he has contributed towards breaking down stubborn opposition defenses with his speed, strength, and overlapping runs. A year ago, very few people would have expected Trippier to be on this list, but he has had a quite remarkable 12 months. He has made the most of Kyle Walker’s move to Manchester City and has become Tottenham’s first choice right back, despite the signing of Serge Aurier from PSG. He has become a top right back in that time and was a part of Tottenham’s excellent defensive record last season. Tripper really came to the fore during England’s impressive run to the World Cup semi-finals, where he was named in the Team of the Tournament. It was his attacking side of the game that was most notable, as he created the most chances of any player in Russia. He also showed himself off as a set-piece specialist, netting a brilliant free kick in the semi-final against Croatia. His defensive side of the game is also excellent, and you rarely see him lose a battle with the opposition winger. Of all the players on this list, Azpilicueta probably offers the least going forward, but defensively, there aren’t many better full-backs in world football. The Chelsea full-back is now entering his seventh season of English football, and he just seems to get better and better. You very rarely see a winger get the better of the Spaniard, who reads the game so well and tactically knows his role inside out. He is capable of providing in attacking areas and has a good delivery, which he proved on a number of occasions last season, forming an excellent relationship with Alvaro Morata. He will be expected to do more on the ball this season though, particularly with Maurizio Sarri as his manager. He will continue to do his best work defensively though, and he will have a greater role defensively this season, as Sarri switches to a back four, with Azpilicueta moving back to his natural position of right back. 2. Dani Carvajal- Real Madrid Speed, strength, great crosser, and strong attacking flair are one of the specialties posed by the Real Madrid right back, Real Madrid tried to bring in players like Danilo (Now at Manchester City) but failed to outclass the Spanish right-back who is a perfect fit for the Los Blancos. 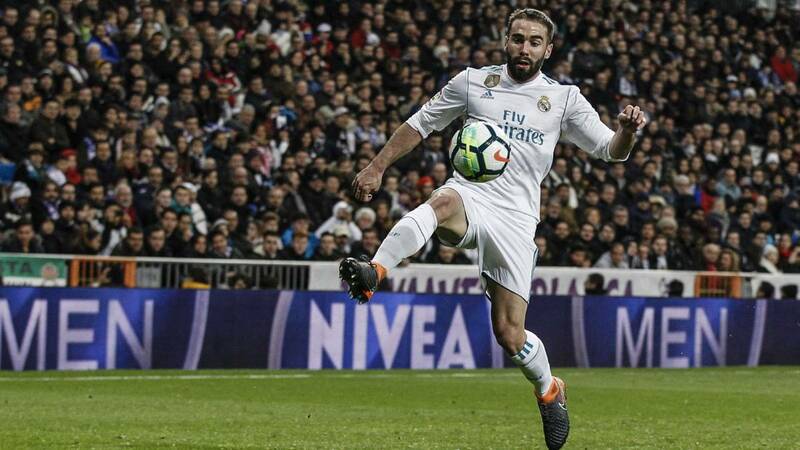 Dani Carvajal does so much work both in defense and in attack for the Spanish giant’s and is undoubtedly the best right back in 2019. The only weakness the Real Madrid defender has is injuries. One of the biggest tests for Bayern Munich in recent years has been replacing Philipp Lahm, arguably one of the club’s greatest players, after he retired in 2017. Lahm was such a consistent performer in his time with the German giants, and at international level. Kimmich has managed to step up in Lahm’s absence and has been superb for Bayern, putting in a series of excellent performances in the Bundesliga, and for Germany. He had the opportunity to learn from Lahm in his younger years and regularly played alongside him under Pep Guardiola, who moved Lahm into a defensive midfield role. Kimmich has proved himself an excellent defender, and someone with the maturity way beyond his 23 years. He has also shown that he is capable of being a threat going forward and scored in both legs of Bayern’s Champions League semi-final defeat to Real Madrid last season.